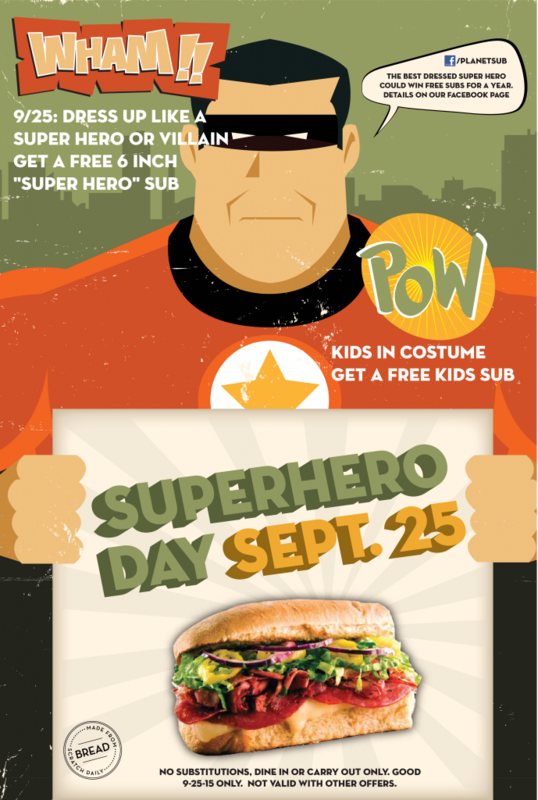 *To enter the Free Subs for a year contest, pictures must be posted on either our Facebook, Twitter, or Instagram pages using @planetsub and the hashtag #SUPERHERODAY and #PSUB. No purchase necessary. Free subs for a year defined as one free six inch sub per week for 52 weeks.